privilege of studying piano pedagogy under Dr. Oscar Macchioni; jazz piano with Ruben Gutierrez; and voice under Eliza Wilson. She graduated from UTEP in 2011 with her BMS degree in Piano Performance, Music Application, Music Theory and Composition. 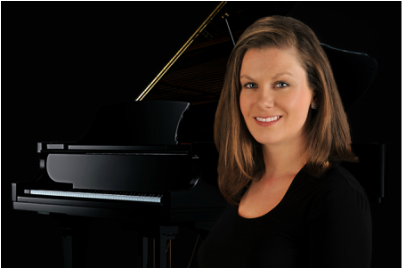 For over ten years Abigail has enjoyed teaching piano, voice, and music theory to students of all ages at The Desert Moon Academy in El Paso TX., The New Mexico School of Music in Albuquerque NM, and The Dallas School of Music in Texas. Abigail has served students of all backgrounds in a variety of genres, including classical music, popular hits, jazz standards, and folk tunes. Her greatest passion in life is helping her students find their personal connection with music, and teaching them to craft their own means of self-expression through their instruments. At The Dallas School of Music Abigail has created a series of online tutorials to extend music instruction time into the home and to help her students achieve their goals between lessons. In her studio video lesson highlights and performances are filmed, allowing the students to view and track their progress, as well as share their music with their personal audience. Abigail is thrilled to call The Dallas School of Music her home and loves to share her knowledge, passion, and skill set with the Dallas/Fort Worth area.